What Is A Hiking Service? 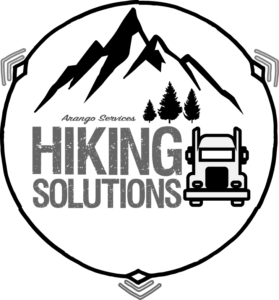 Hiking Solutions was founded to help get your truck to where it needs to be. After working at a body shop for many years, we noticed stationary trucks sitting for months on end. Have a fleet of trucks needing to go somewhere but short on drivers? Hire drivers from Hiking Solutions to help you get your job completed! If you are an owner/operator, fleet manager, or in rental with a problem getting your truck where it needs to be, Hiking Solutions can get it solved! Bought a truck from an auction and need it brought to you? Our drivers are ready to travel to any state to get it for you! Anytime, anywhere in the US Our drivers are where you need them, when you need them! Selling a truck to a customer in another state? Don’t miss out on a sale due to lack of transportation- We’ll get it there! Carlos spent years working in body shops seeing trucks sit stagnant on their lots and had a simple idea – provide a service that moves just the trucks to where they need to go without the need for a full-load. We have over 12 years of experience hiking trucks for a variety of customers across the United States. customers. How can we help you? We have a full team of licensed drivers ready to go to your destination and deliver your vehicle as needed. Our team has grown to be able to accommodate more business. So if you need additional drivers to make a run, we have them on-demand for you! We’re headquartered in Houston, TX but serve the entire country. We have drivers throughout the US to help lower your costs. Our current staff includes licensed team members in California, Georgia, and Colorado as well as Texas. The majority of our business are transfers from out of state.